Glasgow Zoo will close to the public at the end of September, it has been confirmed. The attraction at Calderpark, which stopped receiving public funding in 2000, has struggled with debts rumoured to be about £3m for some time. The Scottish Society for Prevention of Cruelty to Animals (SSPCA) has already been called in to help zoo managers to relocate many animals that are set to become homeless. It has been claimed that developers are poised to pay £4m for some of the land currently occupied by the zoo, and that the surplus cash will be used to build an environmental discovery centre elsewhere in the city. The zoo, which first opened in 1947, has been looking to sell off surplus land since 1999 in the hope that money from any sale could be used to keep the attraction open. But bosses revealed a delay in planning permission being awarded by the city council has left them with no choice but to shut down. 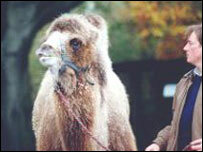 Roger Edwards, chief executive of Glasgow Zoo, said the closure of the attraction would be a big loss to the city. He said: "It may be that, in the political and economic environment that is today's Glasgow, charitable operations cannot succeed, in which case local authority control could be the only way to run such an educational amenity. "There is not a shadow of doubt that an amenity in which the city's children and adults can learn more about animals is needed now more than ever before. "The loss of such an amenity will make Glasgow the poorer - in terms of education, a resource for people seeking advice on animal matters, an amenity for visitors to the city, and the contribution Glasgow can make to international conservation." Bill Smith, chairman of the Zoological Society of Glasgow, thanked the zoo's keepers and staff for their hard work over the years. He said: "The last few years has been a challenging time for Glasgow Zoo. As everyone knows we have also struggled financially. "While this has not affected the welfare of the animals in any way it has been a difficult time for keepers, staff and many others who are closely involved with the zoo. "We would like to thank all its employees, supporters, contributors and suppliers whose loyalty and understanding has been unstinting during this period." He added: "It remains the society's desire to provide the citizens of Glasgow with an animal based visitor attraction, in which animal welfare is not compromised, and where they and visitors to the city can experience animals first hand and learn from keepers who are passionate about sharing their experiences and knowledge." Redundancies at the zoo are expected as a result of the closure and will be phased in as the animal collection reduces.